The latest edition of Blueberry Park by Karen Lewis is now in stores! 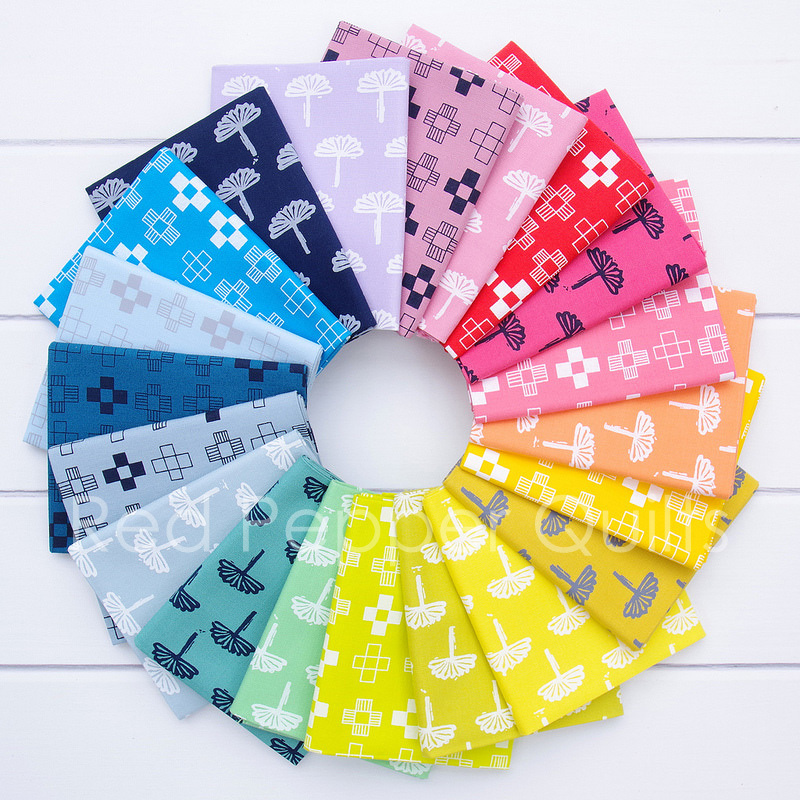 Karen is a UK textile designer, screen printer, quilter and author of Screen Printing At Home: Print Your Own Fabric to Make Simple Sewn Projects . 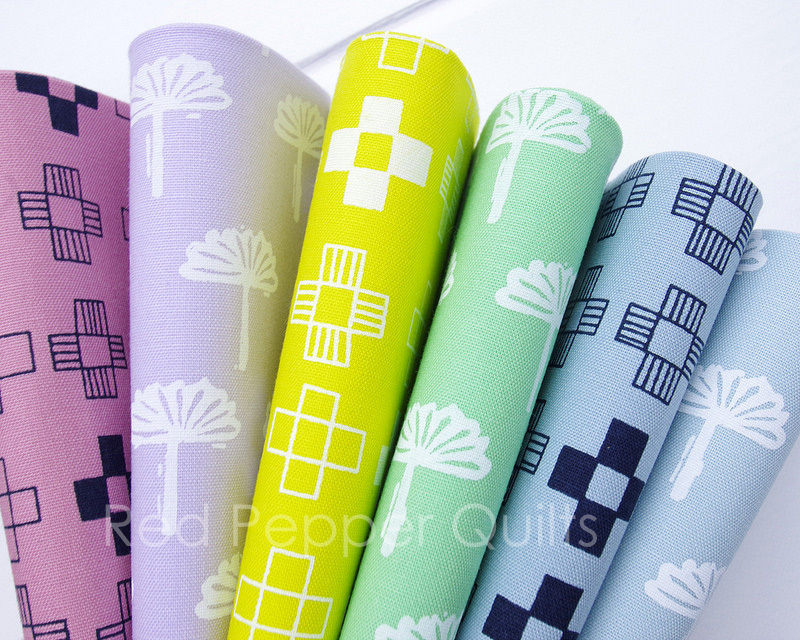 Karen is known in the fabric and quilting industry for her unique screen printed designs on a range of fabrics, and has partnered with Robert Kaufman Fabrics ~ printing Karen's designs on their popular range of solid fabric - Kona Cotton. 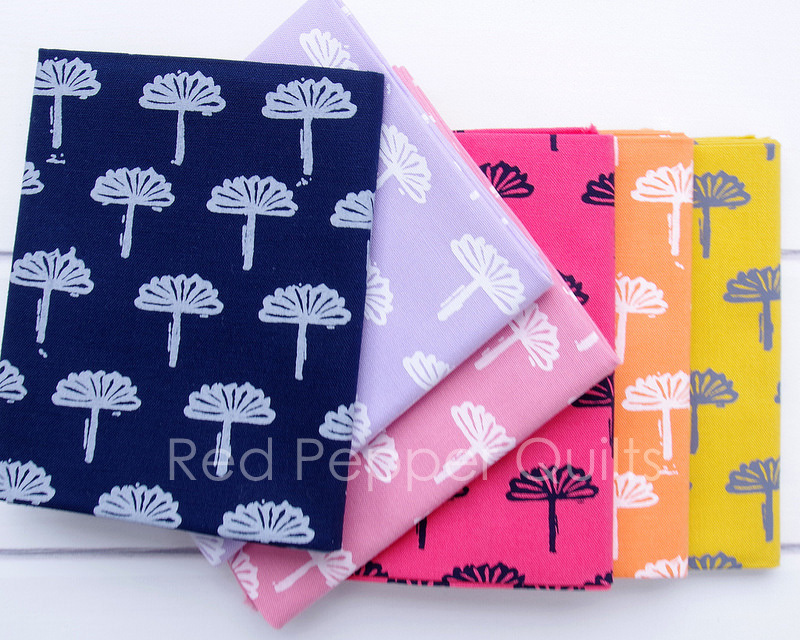 This latest collection has been released in two color stories; a bright and a neutral color palette. Pictured here today is the bright color palette, and who doesn't like a good rainbow of colors? 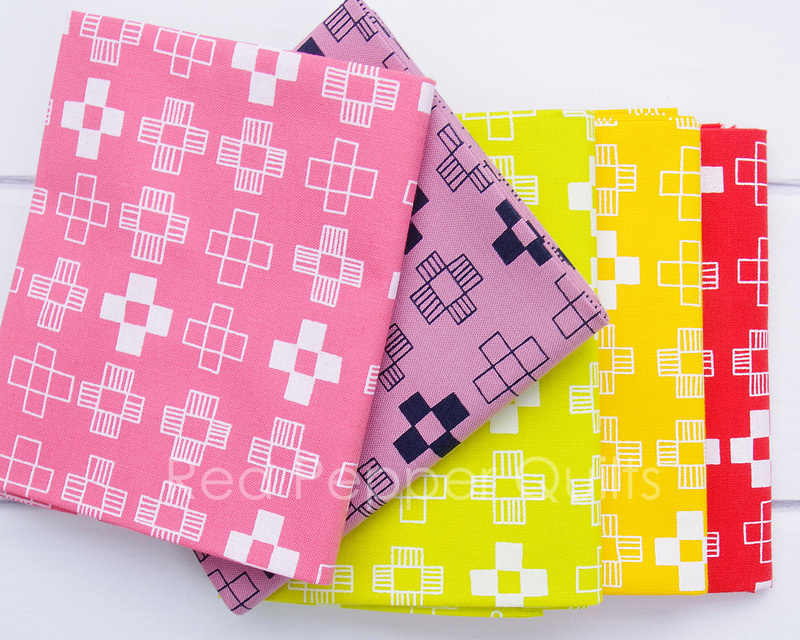 The bright color palette consists of twenty fabrics, two distinct designs as pictured above, and printed in twenty different colors ranging from soft pastels to dark and saturated in color. 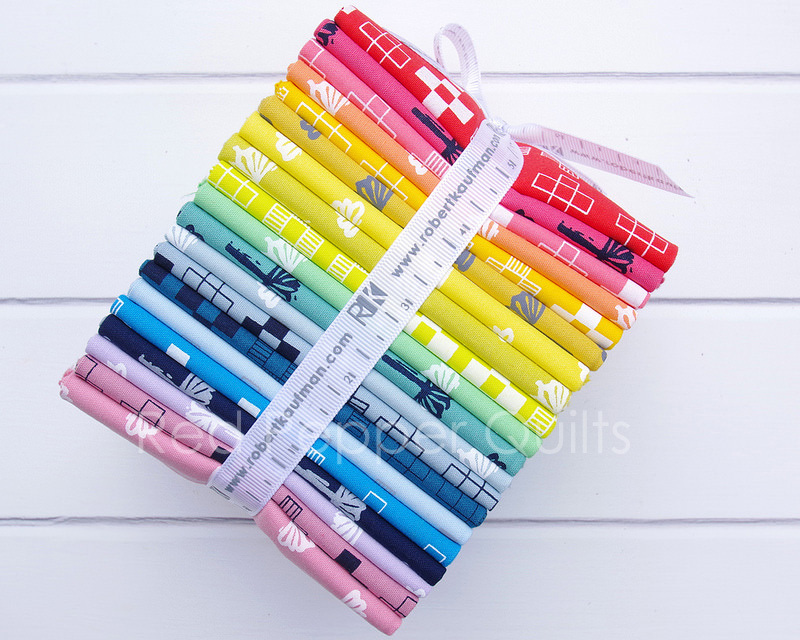 Theses fabrics are wonderful stash basics; easy to mix and match with other fabric collections and printed on my preferred solid fabric, Kona Cotton. 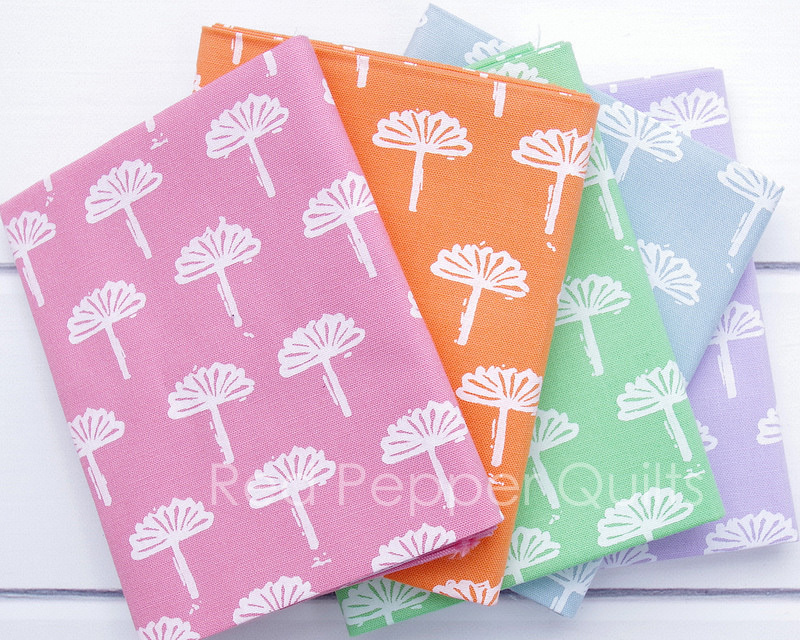 The range of colors now available is extensive - a rainbow of colors and more - and I am sure you will continue to see snippets of this collection pop up in my quilts. 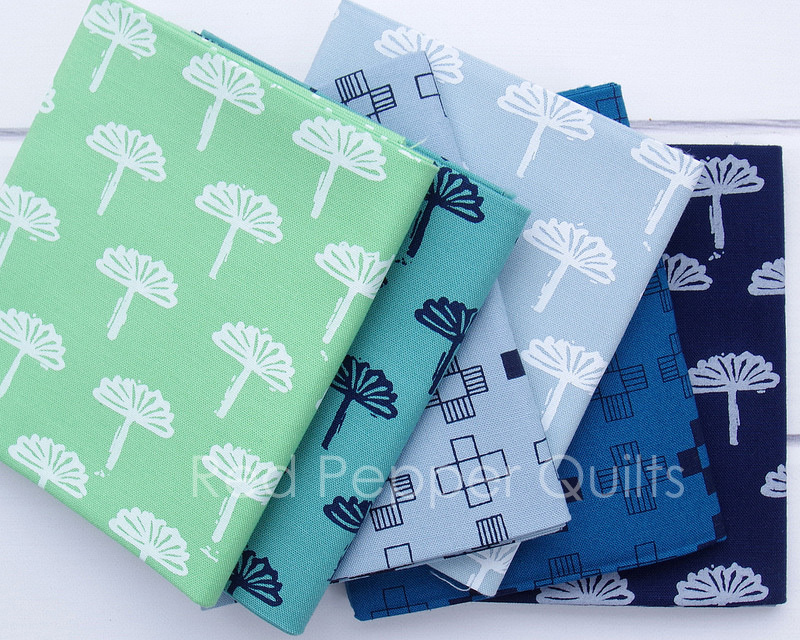 I Love Fabric Lots of new collections added to the Sale Category including Washington Depot by Denyse Schmidt and Diving Board by Alison Glass.